Thank you for visiting our website. Here you will find a description of the ministries we offer, as well as several articles to read, and even an interactive Bible Study on the plan of Salvation, offered in English or Spanish. 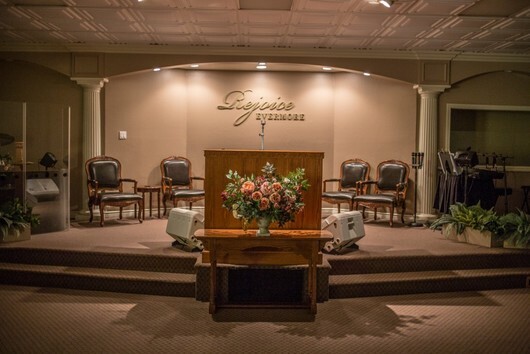 There is practical advice for New Converts, and photos of recent church activities. Audios are offered of featured speakers, and the last 5 Sunday morning expository lessons taught by Pastor Kerr. If you have any questions, please contact us! You are welcome to visit and worship with us any time. When you visit, you will receive a warm welcome. Most of the confusion about the subject of speaking in tongues can be cleared up when we understand that there are more than one kind of tongues taught in the Bible. Click here to listen to Pastor Kerr's message on this important topic. "Into His Marvelous Light" Interactive Salvation Bible Study available now! Click on the icons below to to view the interactive Salvation Bible Study. 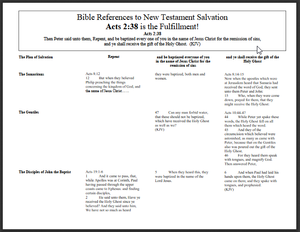 Bible References to New Testament Salvation! Will You Let God Be Your Refuge?